This database introduces a new multitenant architecture that makes it easy to deploy and manage database clouds. Innovations such as Oracle Multitenant, for consolidating multiple databases quickly, and Automatic Data Optimization with Heat Map, for compressing and tiering data at a higher density, maximize resource efficiency and flexibility. These unique advancements, combined with major enhancements in availability, security, and big data support, make Oracle Database 12c the ideal platform for private and public cloud deployments. SQL Server, from Microsoft, is often the database of choice for a highly integrated platform with features to query, search, synchronize, report, and analyze your data. The business world runs on Microsoft, and SQL Server enables advanced integration with application development and business software. Organizations often choose SQL Server for this integration and for its lower total cost of ownership. SQL Server has developed effective data warehousing and business intelligence tools to help you do more with your data. The system also offers scalability through virtualization and online transaction processing. A significant portion of Zerone’s customers run SQL Server databases. These customers leave the database to Zerone so that they can focus on their business. Whether you are running SQL Server latest version or need to upgrade to the latest version, Zerone is your source for SQL Server expertise and remote DBA operations. We have SQL Server DBA teams dedicated to remotely administering SQL Server databases and ensuring 24×7 operation of your production environment. 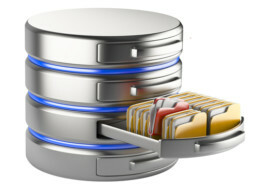 Our remote SQL Server DBA services are designed to be adapted to client requirements. These flexible offerings allow you to pay a monthly service fee or pay as you go, based on the coverage level you require. Contact Us to receive a free price estimate for your corporate DBA service plan needs. Our remote DBA services include the following. ZERONE provides continuous SQL Server DBA managed services for timely, reliable and cost efficient SQL Server database administration. We offer 24×7 remote DBA support for SQL Server database through performance tuning, monitoring, system-level troubleshooting, and documented routine processes. Our team of remote SQL Server DBAs is dedicated 100% to the customer for enhanced service and infrastructure management. These functions often require detailed knowledge of a data environment enabling our team to better optimize, recommend, upgrade and manage the entire environment. ZERONE provides comprehensive solutions for reliable database operations and enhanced data performance. Since these services may not be needed on a regular basis, you only pay for what you need, when you need it.